Make the moment even more special by proposing with an engagement ring that embodies your partner’s personality and style. She will be amazed by how much thought you put into finding the perfect ring completely unique to her! Most men report this is the hardest part of engagement ring shopping, however. If this is your challenge, too, this blog will help you pinpoint her style and choose a ring that matches. If you’re having trouble defining her style but still want your proposal to be a surprise, here are some tricks you can use. Think about the clothes she wears. Look in her jewelry box and reference the jewelry she wears today. Think about the types of art and décor she likes. Consider her lifestyle and job — For example, if she works in the medical field and wears rubber gloves often, something simple and dainty may be more functional for her. Ask her friends what she likes. From these observations, you will be able to decide what style she’d most likely prefer. Here are five styles we’d recommend based on specific personality traits. 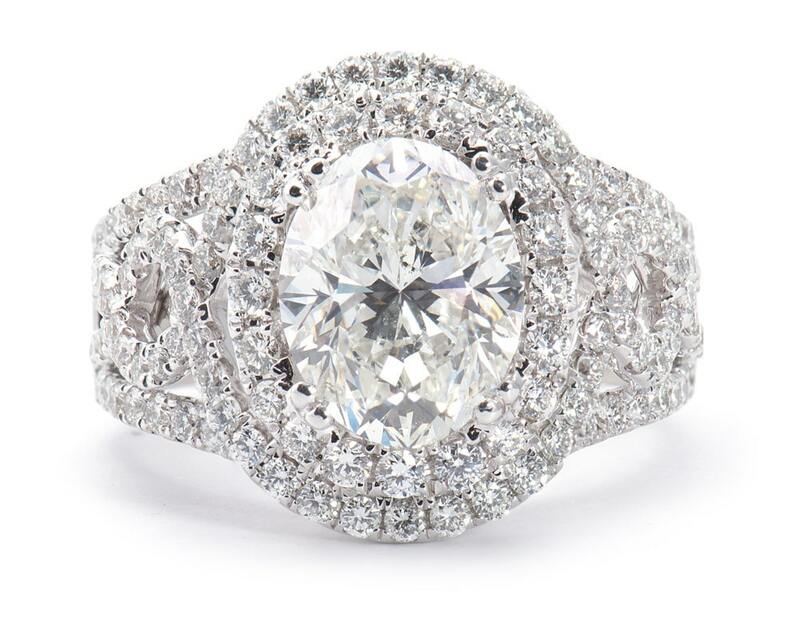 If she’s a classic woman, a more traditional ring would be the most fitting. 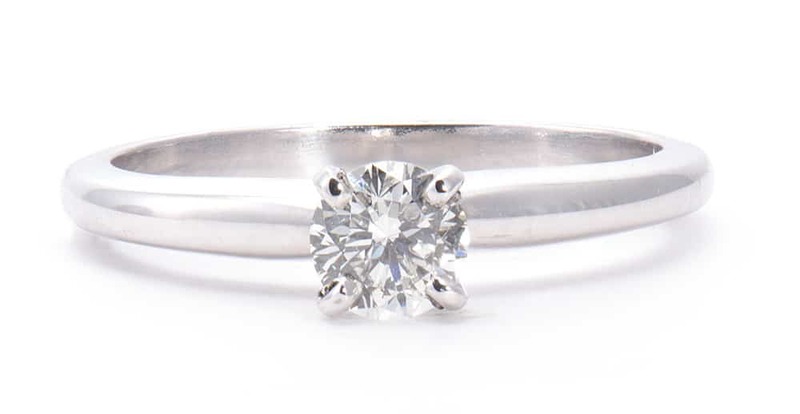 We recommend something simplistic, yet elegant, such as a single solitaire. 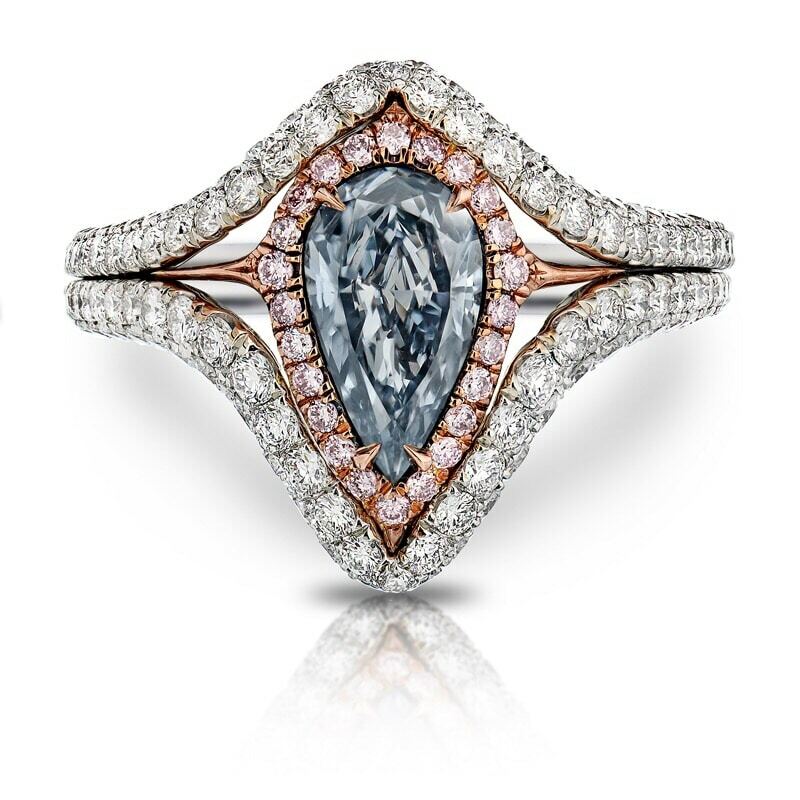 In a solitaire setting, all the attention is given to one center diamond. 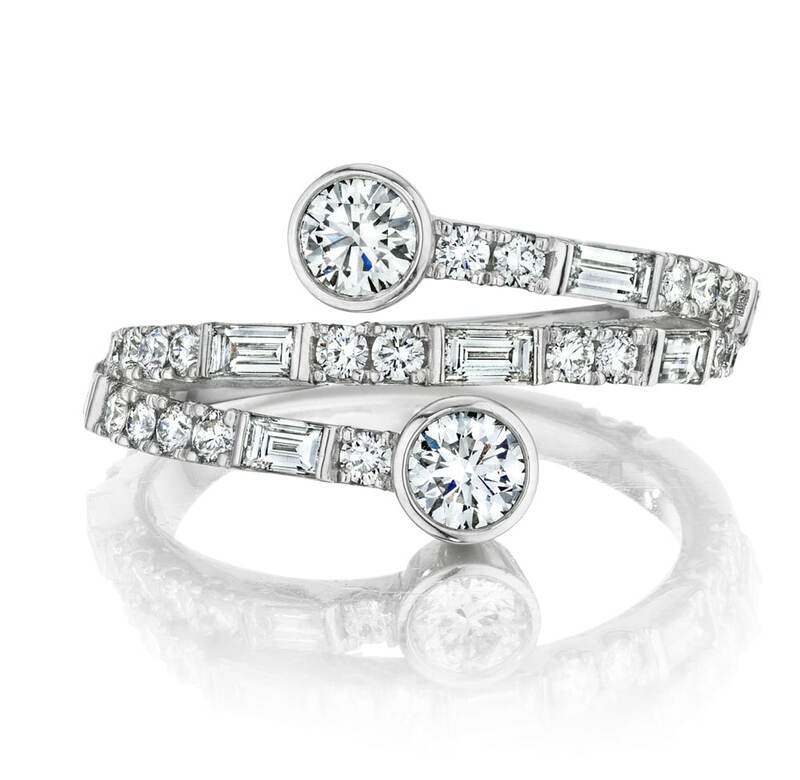 Their timeless allure has continued to make them a popular choice for engagement rings throughout the years and pairs well with any diamond shape. If the two of you share a love of the outdoors, pick a ring with nature-inspired features to embody your love and commitment. A woman who has a bohemian, earthy, or outdoorsy style will likely appreciate an engagement ring donning organic beauty inspired by the curves and patterns of leaves, vines, and flowers. Perhaps your partner has an old soul and a love for eras before her time. 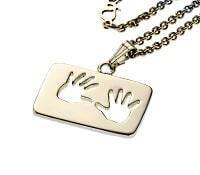 This is a sign she may prefer a vintage style engagement ring. Vintage-inspired settings tend to be heavily detailed, offering a romantic feel and old world charm. 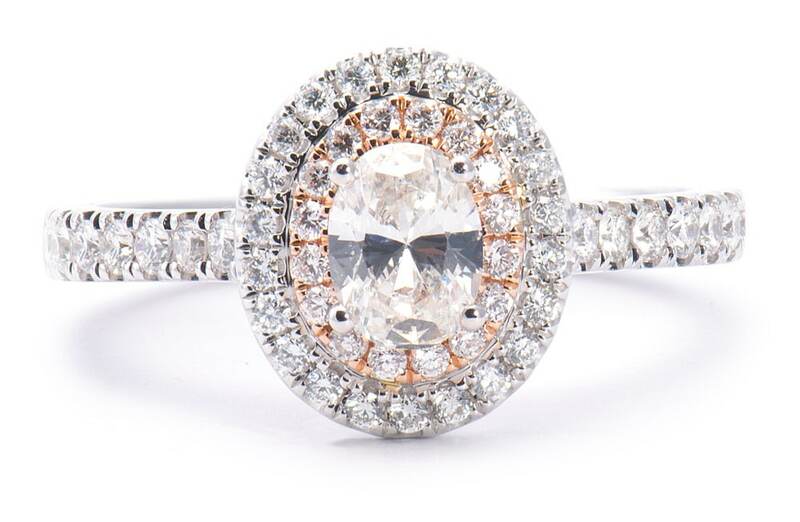 Made up of a center stone surrounded by several smaller, accent stones, a halo setting is a beautiful ring style with a vintage feel. 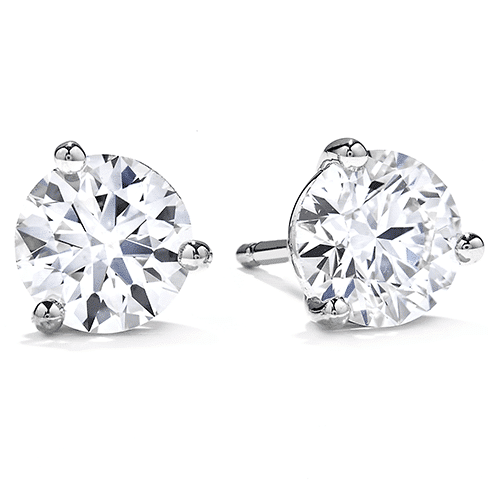 This setting pairs well with both cushion and round shaped diamonds. 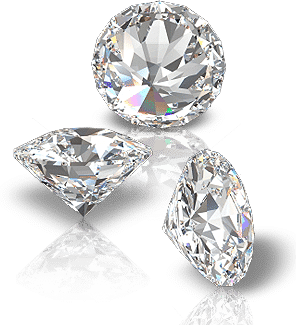 An added benefit of the halo style is you can choose a smaller center diamond without sacrificing brilliance due to the many accent diamonds, making it a more budget-friendly option. 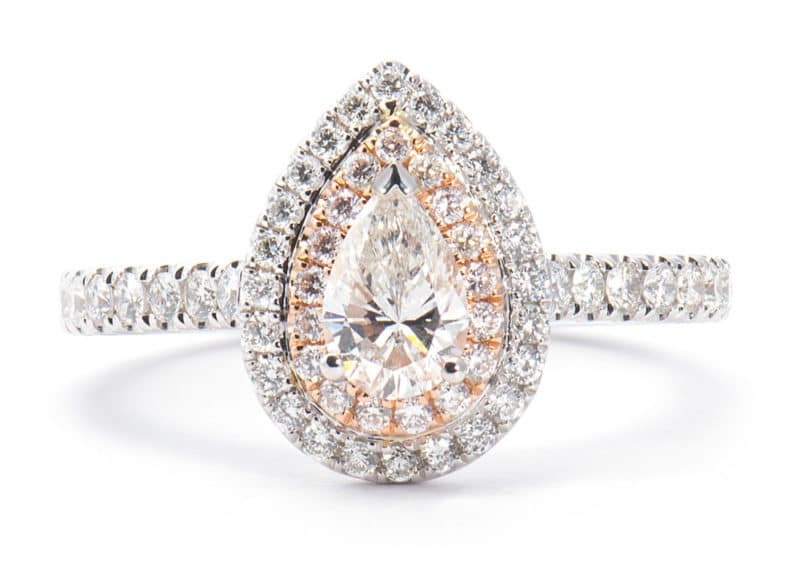 Modern engagement rings are for the contemporary, fashion-forward woman. 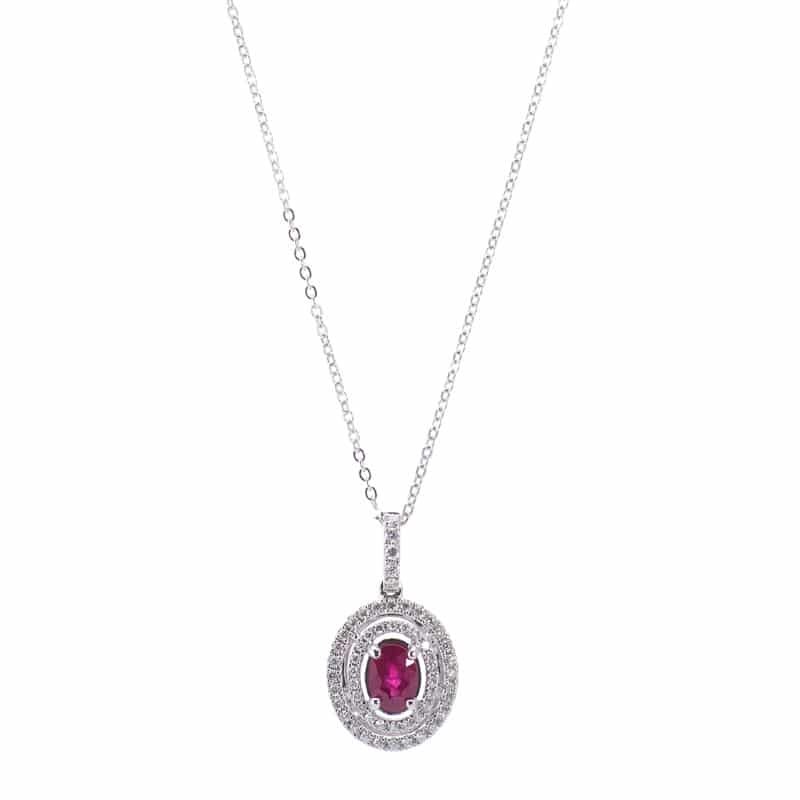 This style tends to be sleek with non-traditional features such as clean lines or bezel settings, in which the stone sits snugly within the metal versus extended on prongs. 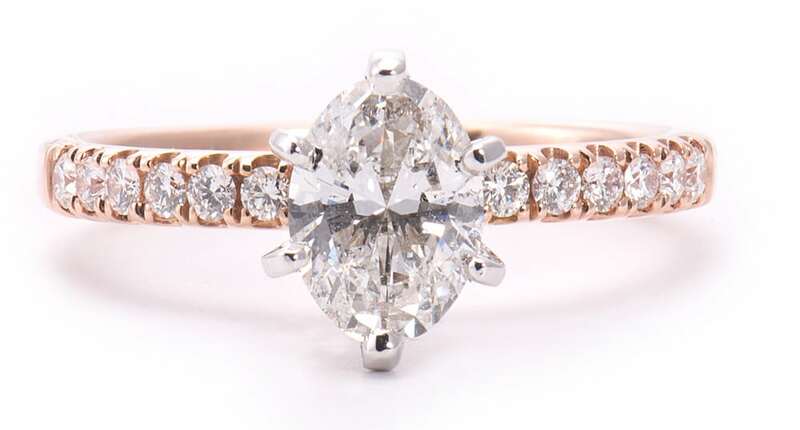 Rose gold is popular in modern engagement rings styles and makes a fashionable, bold statement for those who like to stay atop the latest trends. 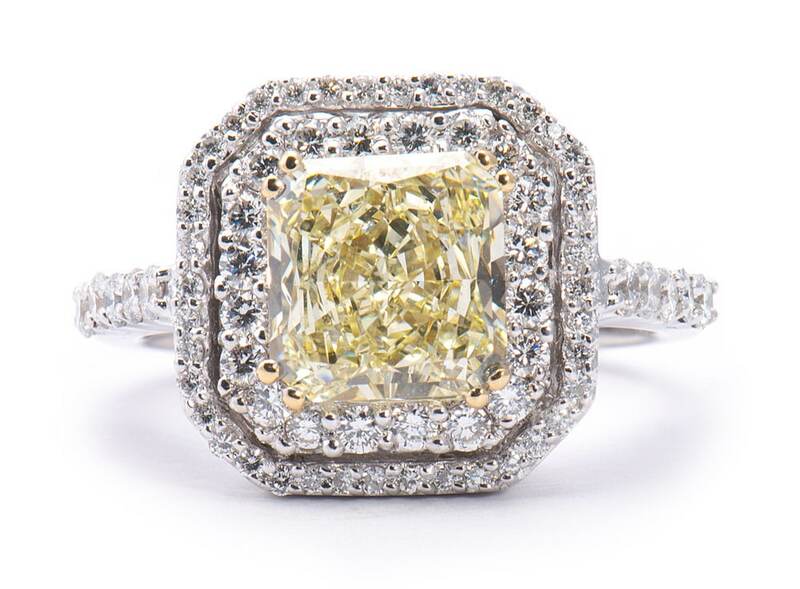 Luxe style engagement rings can be described as spectacular, breathtaking, and ornate. 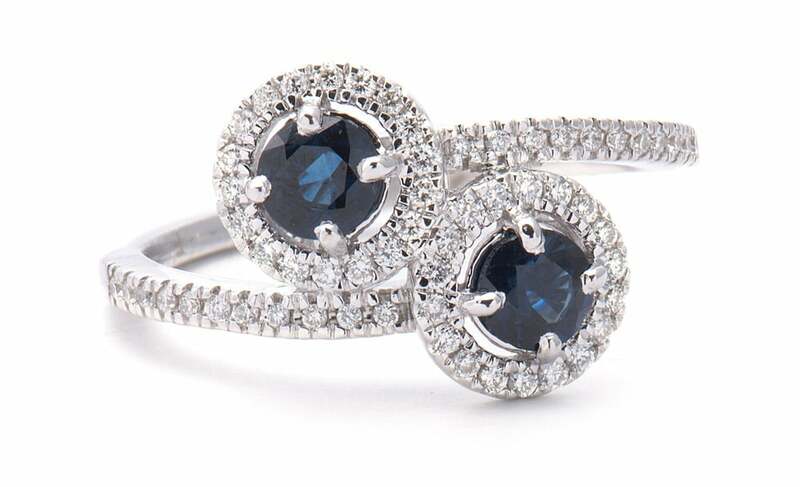 These engagement rings tend to be heavily embellished and draw attention from all sides. 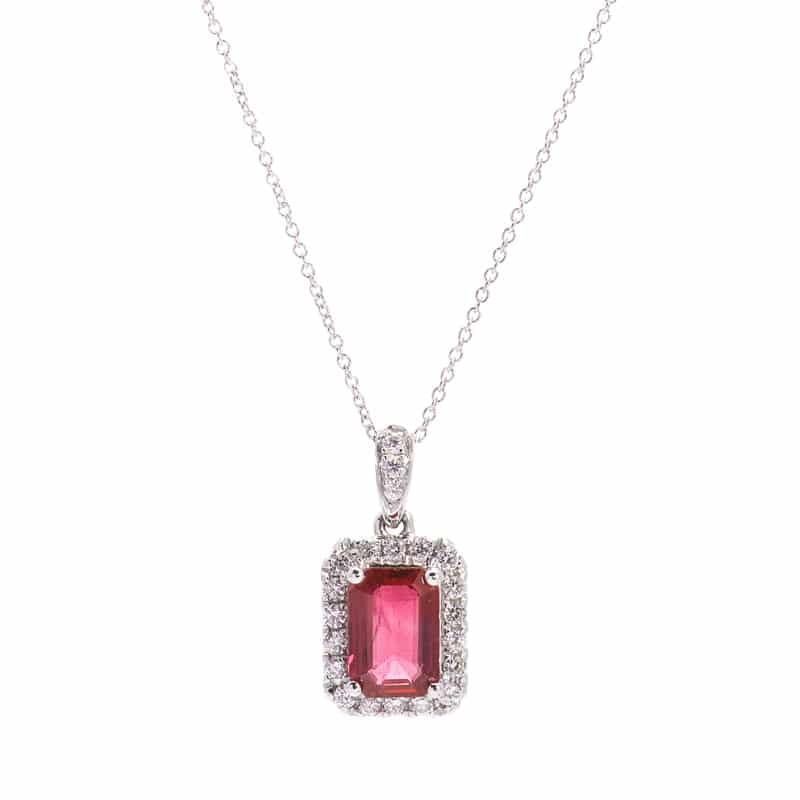 If your bride-to-be is outgoing with an extravagant personality and loves a lot of sparkle, this style is for her. 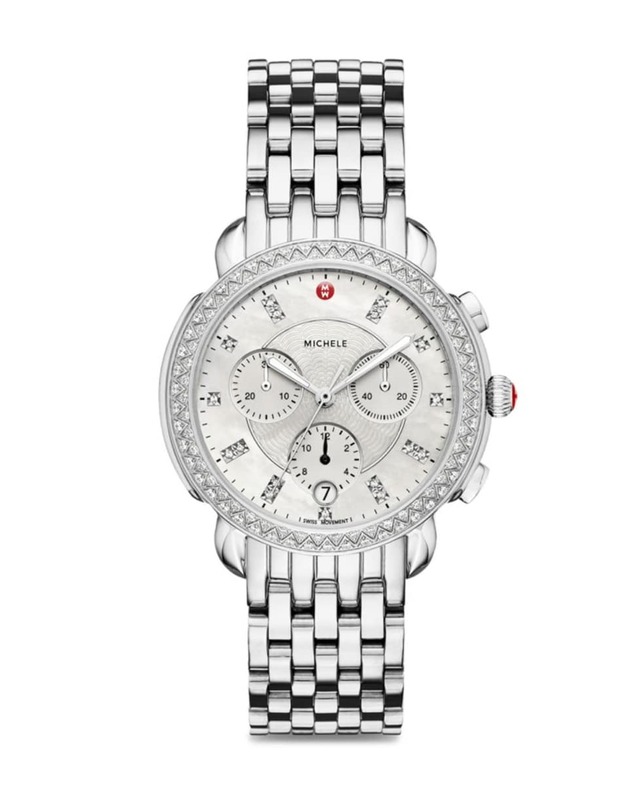 A pave setting is a luxurious, dazzling example of this style designed with brilliance in mind. The band is usually paved small diamonds, which gives the appearance of a solid diamond surface. Once you’ve decided on the right style, it will be much easier to nail down the diamond and metal type that goes with it. If she fits more than one of the style types we discussed (or none of them — everyone is different! 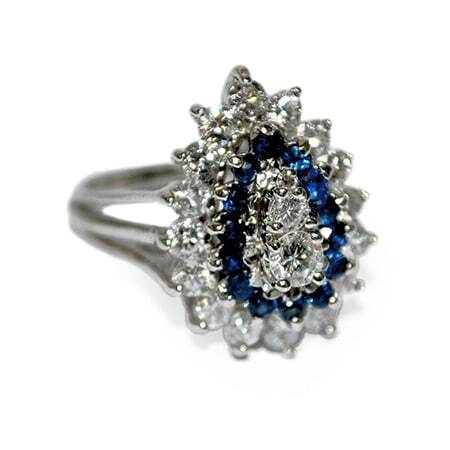 ), we have master jewelry designers on staff who can help you design and create the perfect ring. If choosing a style still seems daunting to you, another option is to get a temporary setting for the sake of the surprise and after she’s said yes, she can come in and pick her own out! When the time comes to start thinking about your marriage proposal, no jeweler can help guide you through the process better than Brinker’s Jewelers. We’ll help you choose the ring that holds the most unique and distinctly beautiful characteristics as the very one you love.